We had such a fabulous trip with Aissa. I have done a lot of traveling over the past 40 years and have only toured prior to this with a personal driver in Sri Lanka. From the moment we saw Aissa’s friendly face at the airport at Cassablanca to the completion of our trip, we felt safe and genuinely cared for. We feel we were privy to a small snapshot of the real Morocco without the anxiety associated with other types of touring. Travel was flexible and the accommodation was very comfortable. 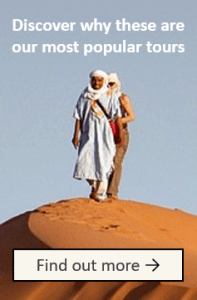 We opted for the camel trek and night in the Berber camp….. Well ! Our 60 yr old hips were not too comfortable on the back of a camel for the 2 hour trek each way, and indeed I wondered if I would be able to get my legs together again and walk at the end [email protected]#$% but we did and it is one of our great adventures we are so glad we had. Stirrups on the saddle would have helped enormously but I’m not sure the tribesman will be too interested in taking that onboard! I might just add that Sandra and I were the only “tourists” in our Berber camp but as 2 solo women out in the middle of the desert, we never felt unsafe…. and that man could really cook! Unfortunately, Sandra became very ill one night and needed to be taken to hospital in Dades for treatment. The hotel staff were great and supplied a car and driver and poor Aissa was very disappointed I hadn’t rung him to help at 3AM.! The care at the hospital was excellent and they were amazed when I returned the next morning before we left with some biscuits and chocolate for the staff! It shocked me that they provided the service without charge. Every Westerner would have travel insurance and as a nurse, I could see that they would make good use of the funds! We were so grateful. Sandra took a while to come good again and Aissa was with her 100%, more than willing to do anything she required. She will be forever grateful to him for his care and concern. 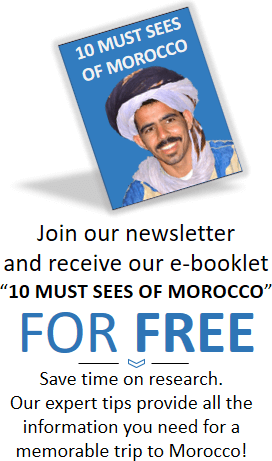 I, on the other hand enjoyed the best of health and the very best of Morocco! The food, markets, smells, characters, scenery and don’t start me on the shopping!! 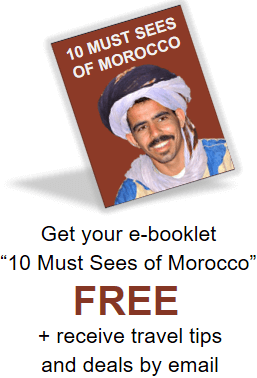 Having our own personal guide in Fez and Marrakech added to my appreciation of life in Morrocco. Having our own driver, staying in the excellent riads and having the flexibility when required to change a few of our plans “on the hop” made all the difference. 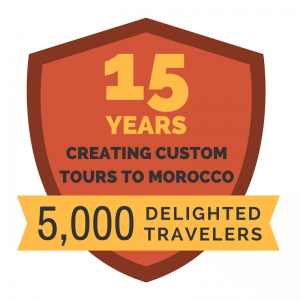 I cannot think of a better way to see a piece of “real” Morocco. All your staff in the office and on the ground are fabulous to deal with .They answer emails very promptly and establish a friendly rapport from the very beginning. Flexibility is the name of the game and to a person they genuinely seem to want the trip to be everything we hope it will. I have already recommended your company as the only way to go, and will continue to do so!